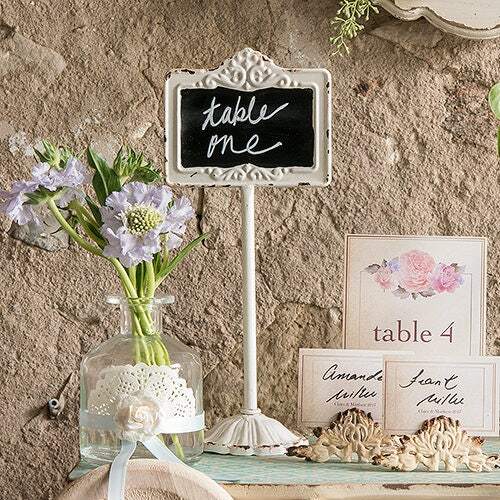 Wedding party stand with chalkboard sign. 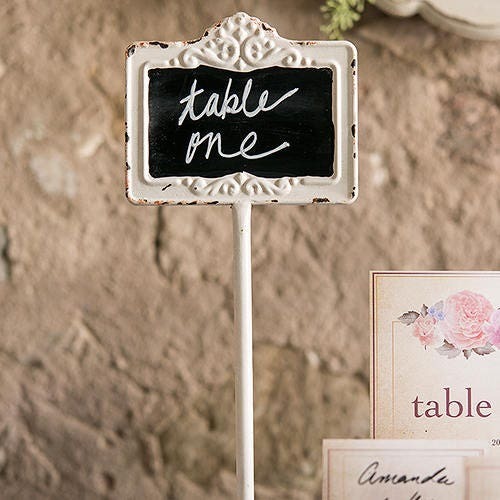 Incorporating different types of signage into your wedding decor adds a nice personal touch. 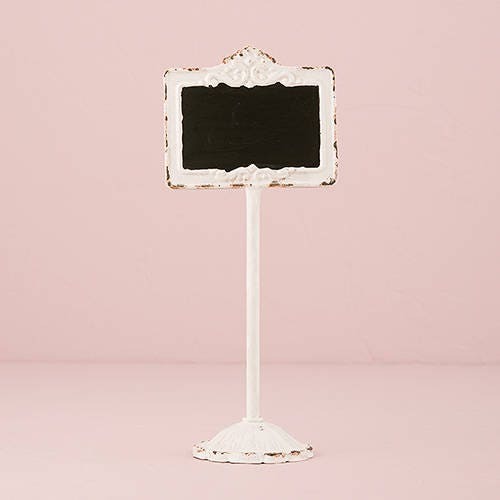 These versatile standing chalkboard signs with an antique white frame are perfect as table numbers, or set them out at your candy bar to display the names of the sweet treats. Note: other props/items shown are for display and ideas only and are not included with your purchase of the blackboard table stand. Blackboard on one side only.